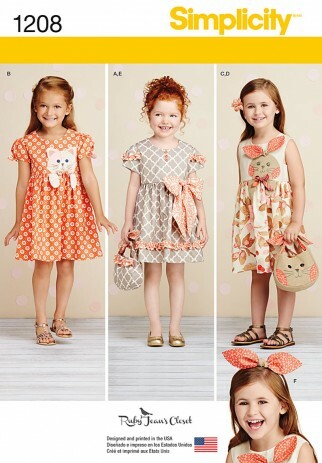 Your child will love these adorable dresses. Make a ruffle dress with bow, a dress with puff sleeve and kitty applique, and a sleeveless dress with bunny applique. Purses and headband also included. Ruby Jeans Closet.